A meticulous & committed teacher. Has gone through a great transformation. Had an asthmatic tendency and wheezing attacks, and other health issues, which have become a distant memory for her, through regular practice of yoga. Has been practicing yoga from 2000 and teaching since 2009. Learnt her basics from Sn.Shiva Rishi, completed a four month Yogic Studies Course at Bihar Yoga Bharathi, went on to learn Kriya Yoga, Tatwa Suddhi, Havan from Bihar School of Yoga and Rikhiapeeth. She is evolving into a natural teacher with compassion. 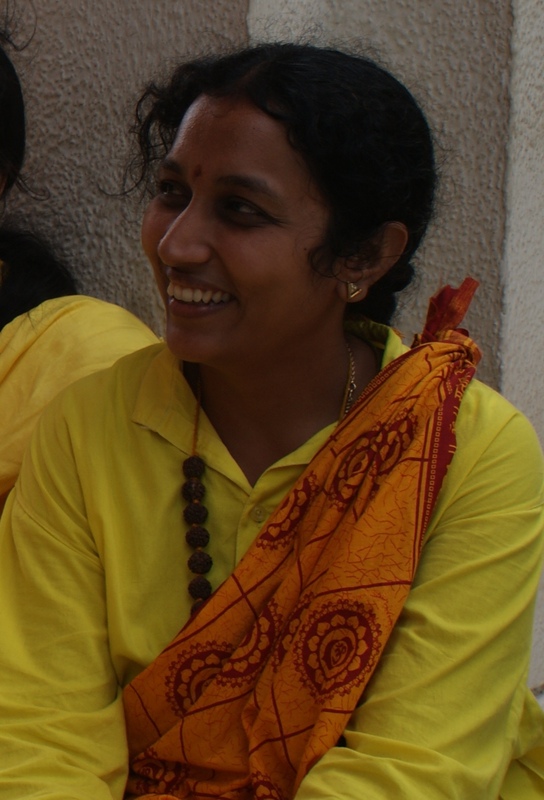 Vidya Shakti leads our classes at SYCT, and visits corporate organizations to introduce yoga! My humble pranams to all my teachers and my guru Parampara. The reason how and why yoga came into my life is, my husband and my mil were pro yoga practitioners and I had too many health issues and mental turmoil due to high expectations. Through guidance and patience shown by my husband (my first yoga teacher); I started to see changes in my physical as well as mental health. The year 2003 is the most important phase in my life as I met my gurus Swami Satyananda and Swami Niranjanananda. The seed of yoga that was sown in me started growing stronger roots. SYCT gives me lot of opportunity to meet people from all walks of life. It has opened a window for me which is “TEACHING”. As I teach so I learn and also grow. The second window is “SEVA”. My experience with seva is just like the tip of an iceberg. My learning continues….